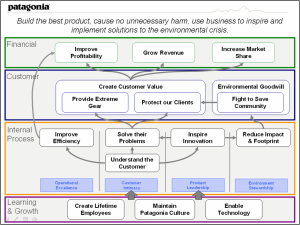 Review: This strategy maps focus on finding the solutions to environmental crisis. 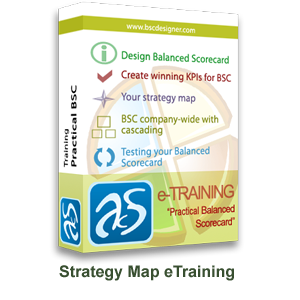 In order to achieve that objective, sever small goals have been set categorized into base 4 balance scorecard. All the small objectives are interacting with each other to achieve the final goal. This strategy map is a very simple and easy to implement. 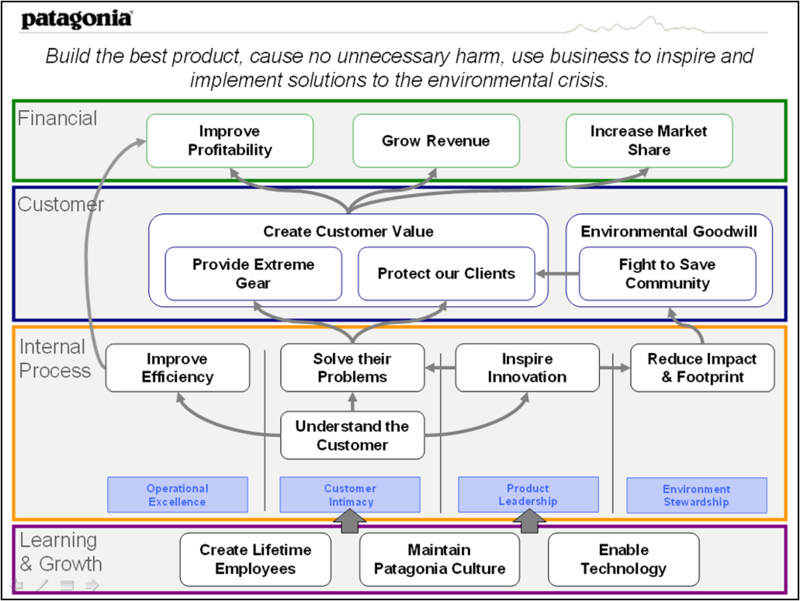 Opportunities: In smaller organization or companies with limited scope and vision this strategy map can be used as a sample. Managers who are not much detail oriented and try to focus on bird eye view of the project can utilized this strategy map. However this map is not much useful for detail oriented organizational structure. 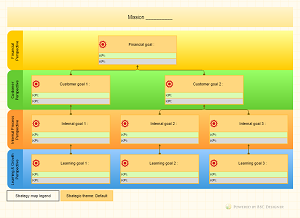 Result: The strategy map has many benefits owing to its simplicity and ease of use. 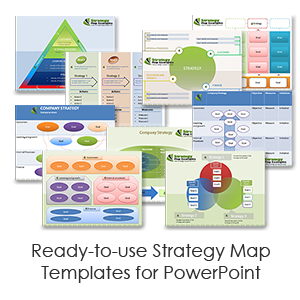 Owing to these benefits, it can be referred as a useful strategy map. On the other hand this simplicity is not much useful for large strategies where a large number of objectives are interacting. Map doesn’t accommodate detailed goals.